In the last decade drones have increased in popularity and have opened an entirely new world of photography where photographers of all styles, creed and background can now access angles and locations that once would have been impossible to reach. This exciting times in photography have completely transformed how we see the world around us and once more blurred the line between professional and amateur photography resulting in stunning images. The Icelandic government has set rules to ensure the safe use of drones and decrease potential negative impact on the environment. 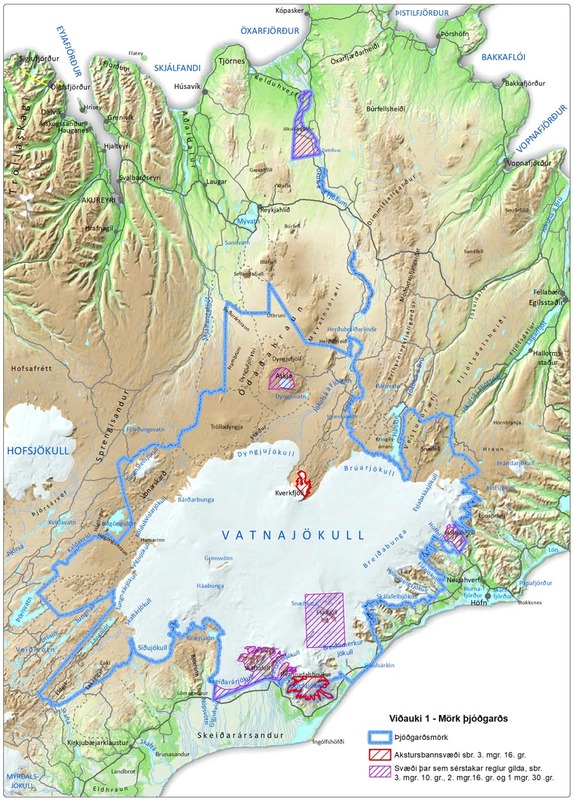 As of 2016 the use of drones is banned in Vatnajökull National Park, this includes Ásbyrgi, Vesturdalur, Hljóðaklettar as well as Dettifoss and surrounding. Those who fail to adhere to these rules may face fines, have their equipment taken away or even arrest. If you are flying a drone outside of a national park keep distance to any animal as if drones may frighten sheep, horses, reindeer or birds and cause unnecessary stress. In the past there have been cases reported of birds attacking drones to protect their nests or accidents caused by horses that were scared of drones. Carefully read the rules below, issued by the Icelandic Transport Authority, to make sure that you stay on the safe sight and have a good flight!